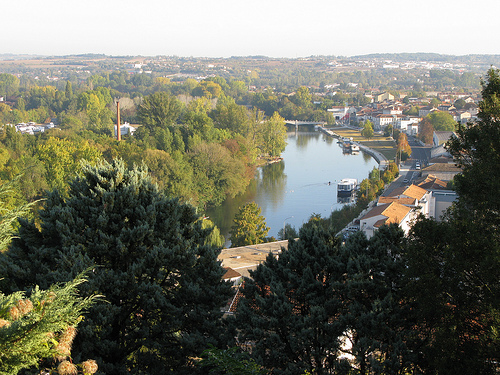 I get a fair amount of emails about the Maison des Auteurs residency in Angoulême from artists who are thinking about applying. I’m always happy to help people decide if the MdA is right for them, but I figured it might be a good idea to put all this information in one place so that anyone can access it. If there’s anything you would like to know which isn’t addressed here, please add it to the comments and I’ll try to answer it as best I can. In this post, I’ll give you an overview of the residency itself and how to apply. 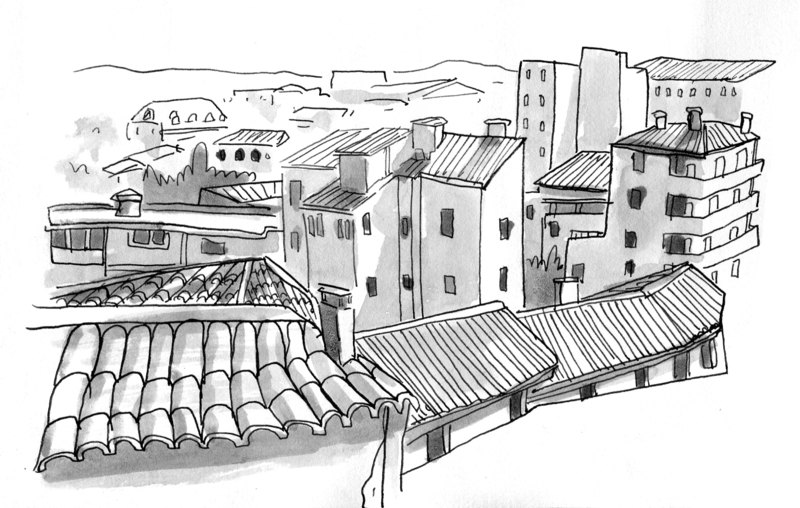 In the next post, I’ll talk a little bit about the pros and cons of living in Angoulême. 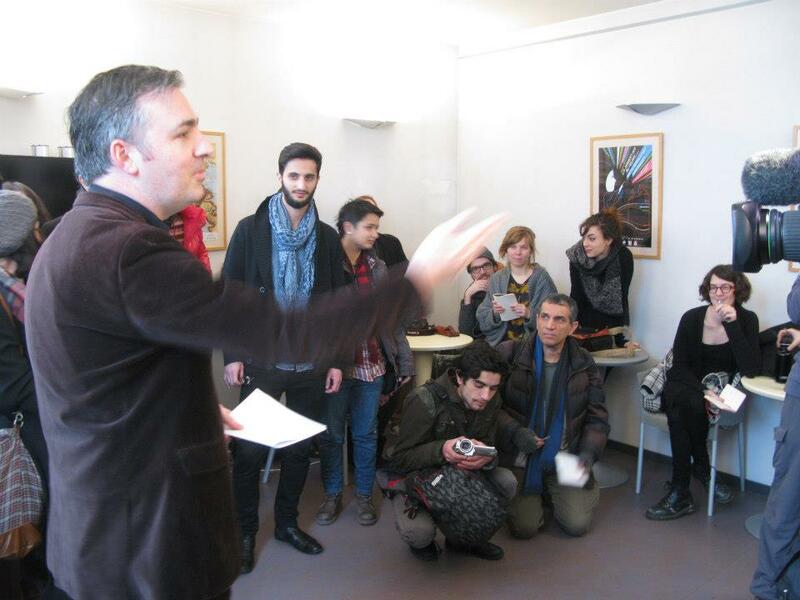 What is the Maison des Auteurs? 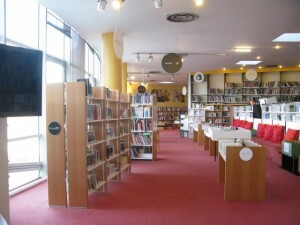 The Maison des Auteurs (MdA) is an artists residency program which is part of the Cité Internationale de la Bande Dessinée et de l’Image in Angoulême, France. It provides studio workspace and amenities and, in some cases, a place to live. 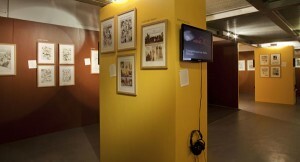 The residency is open to cartoonists, animators and multimedia artists from anywhere in the world. 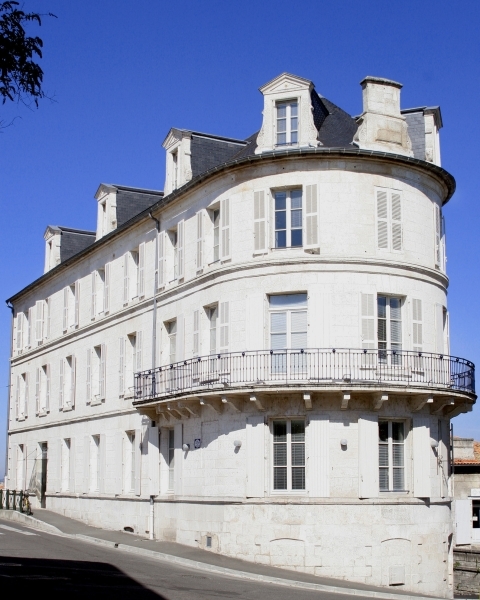 This is the Maison des Auteurs building, set right on the edge of the edge of the old city walls. An initial residency at the MdA can be anywhere from a few months up to two years. You can reapply for more time while you are still in residence (or if you leave for a while and decide to come back, even years later) for up to four years. If you request an MdA apartment, you can only live in that for up to a year and then you have to split and find your own sublet to make room for other artists. 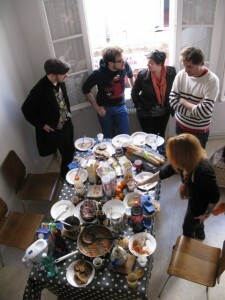 What are the benefits of a residency at the Maison? 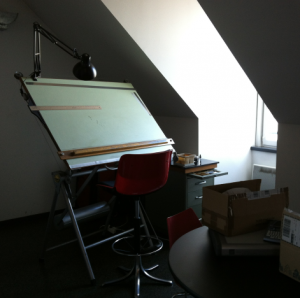 You’ll be set up with an amazing studio space equipped with all the scanners and lightboxes you might need. These are really deluxe setups. Each artist has a computer desk with a Windows based computer loaded with all the Adobe programs and other good stuff (I wouldn’t know because I brought my own laptop and hardly ever used the computer I had assigned to me). 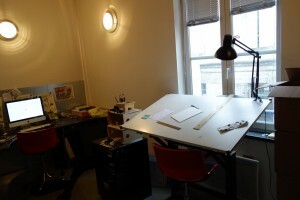 Each artist also has a drawing table. There is room for about 16 artists in total at the maison. Some of the studios are shared spaces. 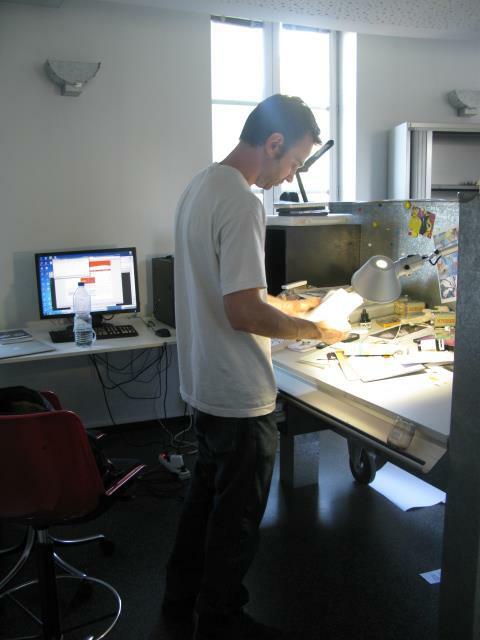 Here’s my buddy Nathan Schreiber in his studio in front of his drawing desk. 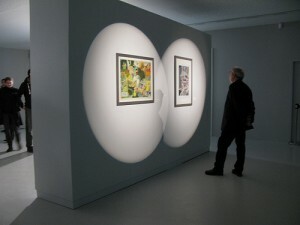 He shared this room with one other artist, Julian Zanesi. Nathan’s desk was a taller one. High stool provided of course but Nathan liked to work standing up as well. Artists work at the studio at all different hours. Sometimes it can feel like you’re the only one there, but thats usually because people are hunched over their work behind closed doors. Artists often gather for tea or lunch in one of the common areas on each floor (there are hot water makers and coffee makers galore). 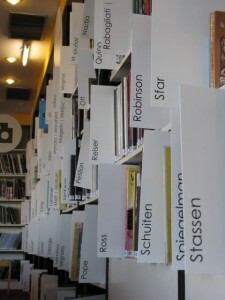 Getting to know the other artists at the MdA is as much as a benefit as the luxury studio space is. There are always new residents coming in (which, sadly, also means there are always residents leaving) and its easy to get to know people if you’re not too shy ( speaking French helps). typical MdA get-together at Nathan’s apartment. Note all the food. Everyone at the MdA is doing amazing work. Its inspiring to be around people who are making such incredible comics and animation. Also a little intimidating, but thats just part of the inspiration package I think. Being an MdA resident means you’re part of a great community of creators, and it extends beyond the walls of the Maison as well. 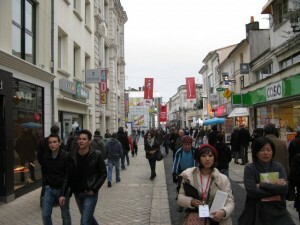 Angoulême has about four major animation studios (its one of the only cities in France besides Paris which has such a high concentration of these studios) and several quality art schools . And of course there are many other cartoonists in town who are not MdA residents. 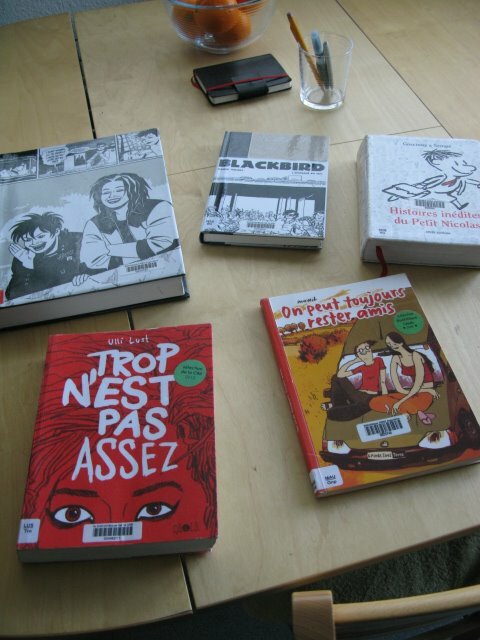 Some of them are former residents who stayed on in Angoulême, some of them are former students who stayed on in Angoulême, some of them just came because the city is such a center for comics and animation. There are quite a few shared studio spaces in town where people work, such as Cafe Creed. And then there’s the FESTIVAL. 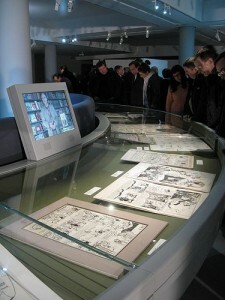 Residents get a special MdA badge which gives you access to all four days of the Festival Internacional de la Bande Dessinée. 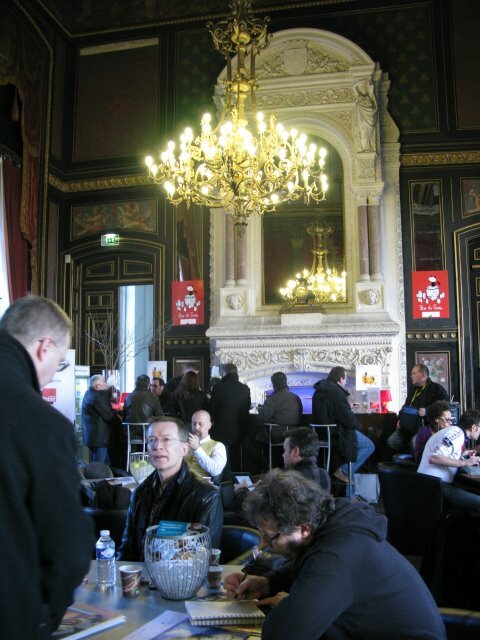 Your badge not only gets you into all the tents, but you can also go hang out in the special press room at the Hotel de Ville, where there’s free coffee and cognac. 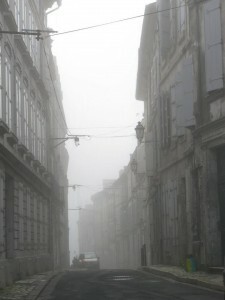 Plus, you will be one of the lucky few who have a place to stay in central Angoulême during the festival. People often have to stay miles away because all the hotels are permanently booked by the major publishers. You will suddenly become very popular in the months leading up to the festival as people realize this (this can also be a “con”). There are a few other MdA related perks during the festival. One is the residents exhibit in the Maison’s gallery which I mentioned above. Every artist can choose several pages to displace, and Brigitte, Pili, and other MdA staff do an amazing job of framing and hanging the work. Last year’s show was VERY heavily attended by festival goers, and its not uncommon to be approached by publishers later who will say that they saw your work there and might be interested. 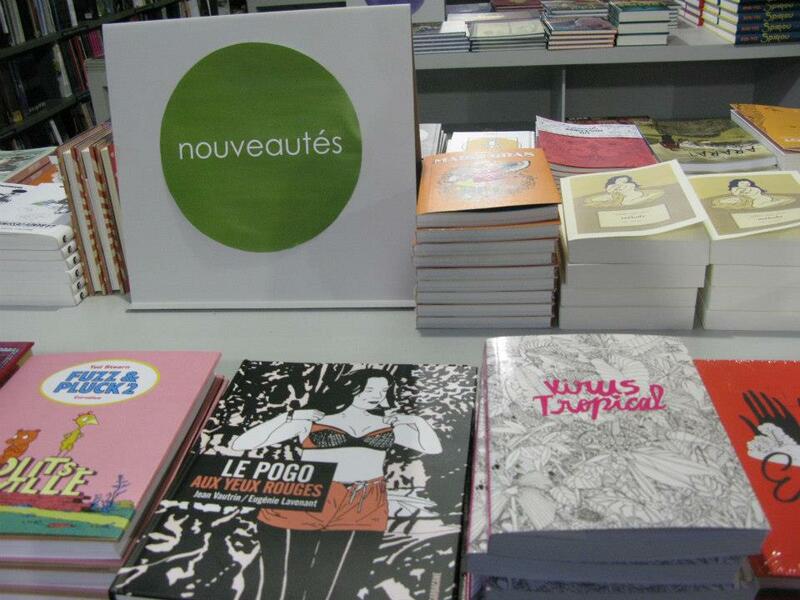 There’s also the 24 Heures de la BD (24 hour comics day) which is sponsored by the MdA right before the festival. Matt Madden came up with the constraint for this years 24hBD. Here he is announcing it right before the clock starts ticking and people scurry off to their desks. Anyone in the world can participate virtually by uploading their pages to the MdA site, but registration for those who want to actually be working from the Maison is limited. Of course, residents have priority for this. Its a fun event, and I really think it helped me open up the way I draw, but be aware that staying up all night RIGHT BEFORE a four day festival which is full of way too many people to talk to and things to see in the first place might just add to your exhaustion. Other benefits! Residents get free entry into the Musée de la Bande Desinee which has a great permanent collection and hosts a huge expo for the festival every year. 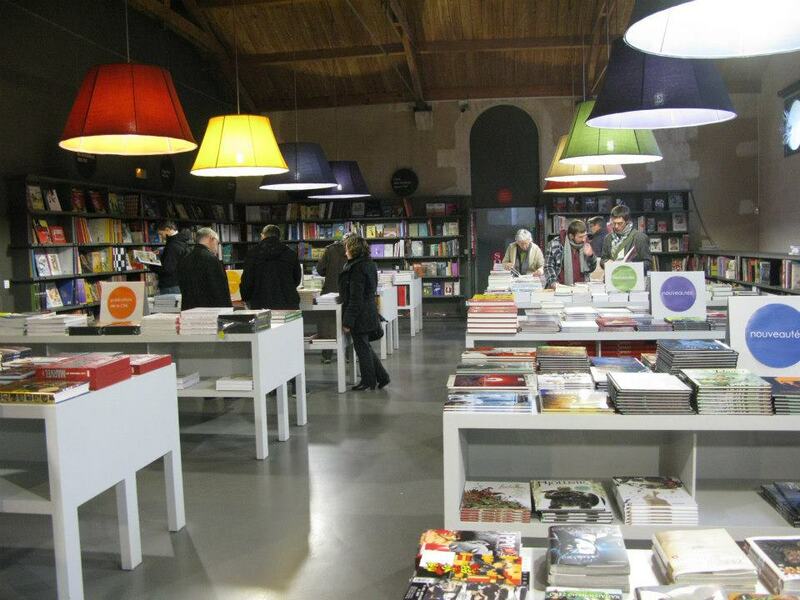 It also has an amazing bookshop which, if you are like me, will make you feel like a tiny speck of sand on a vast beach of more talented sand. Across from the museum is the comics library, which has an amazing array of comics in French, plus a selection of work in other languages. Here’s some of the stuff I borrowed in my first week. You probably want to know more about the possible free apartment I mentioned. 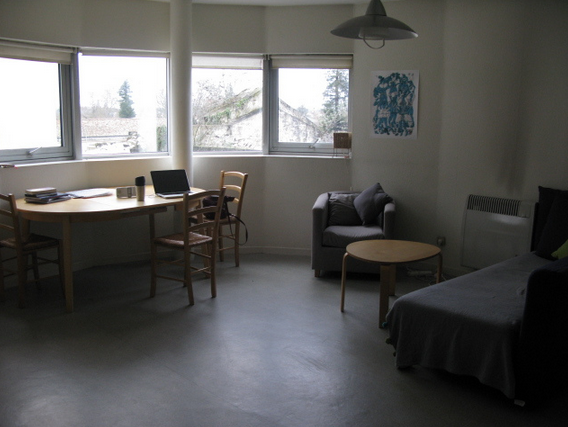 So, the MdA has five apartments which are available for residents, and priority is given to non-French residents (because renting an apartment in Angoulême as a foreigner is very difficult). One of those apartments is reserved for the yearly Spanish resident in partnership with Spanish state funds, so there are really only four apartments. Three of them are for one person (or maybe a couple) while one is for two residents to share. That shared apartment is right near the MdA in a really old building which is probably older than my country. 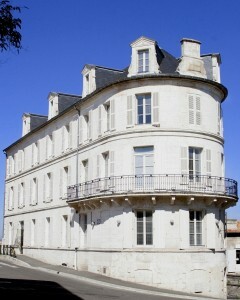 The other three apartments are in a newer building down the hill from the Maison. That building certainly doesn’t have the charm of the old house on the plateau, but the apartments are clean, bright spaces and you’re steps away from the Charente river, the comics museum, and the comics library. 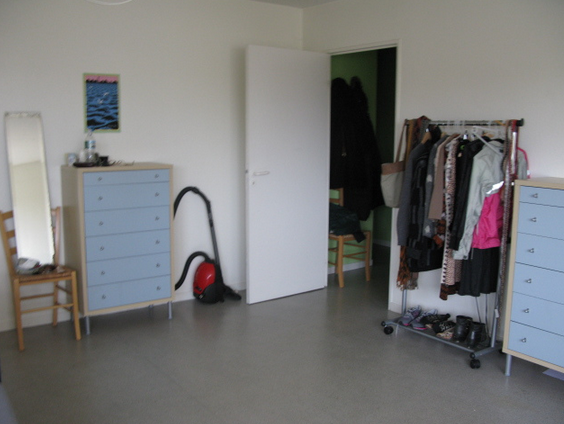 If there are no apartments available for when you want to go, you can always sublet. 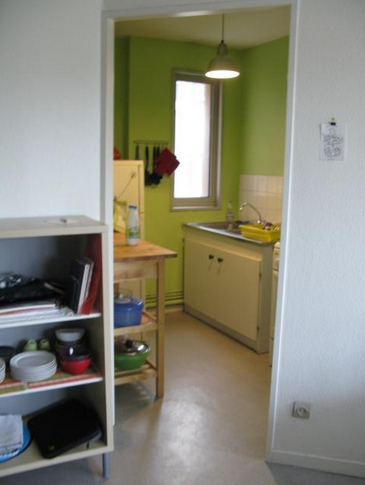 This is not financed by the MdA, but you will be able to find a place to live for 300 euros a month or less (if you are willing to live with roomates.) I’m not sure about subletting your own place…that probably depends on who is going on a long vacation. But its easy to ask around. Do I need to have been published in order to be accepted? 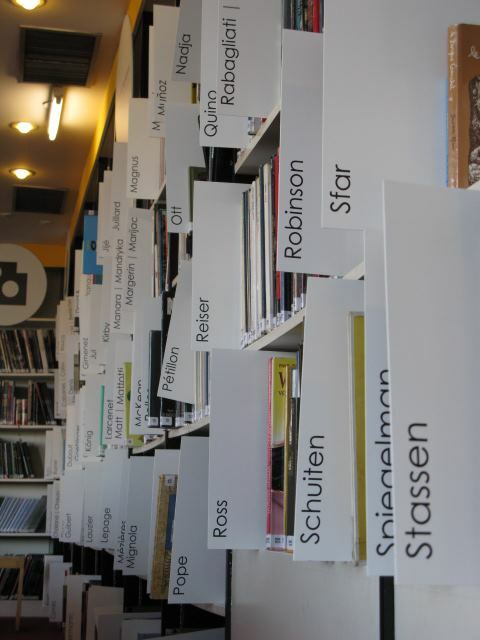 You don’t need to have a published book under your belt in order to be accepted into the residency, although many of the artists in residence have published work before in some form or another. Others are working on their first book (with and without publishers already signed on). I’m pretty sure the committee just wants to see that you’re very serious about your work and that you have advanced to a point in which you are motivated to complete your project. Any evidence to show that you have been working independently for some time would be helpful. Can I work on whatever I want? They seem to be leaning towards accepting people who are working on a single, solid project (like a book) with goals to finish it in the not-too-distant future. They want you to have a clear vision for what you will be working on at the MdA. It’s not really the right residency if you’re just working on short pieces and you want to work somewhere else for a while (although I’m sure there are exceptions to that). Of course, if you apply saying that you are going to be working on a book, but then when you get there you also want to work on other projects at the same time, thats fine! Do artists get paid a stipend? No, but you’re getting a deluxe studio space and possibly a free place to live, which is pretty awesome. There are certain grants that are available to artists from certain countries, but I don’t know anything about them because I’m from the United States which, as far as I know, has no state cultural funding. But it doesn’t cost anything, right? Besides paying your bills, there’s also a one time fee of 150 euros per year which you can kind of consider membership dues.Also there may be some visa fees which I’ll go into later. No…you don’t need to speak French in order to be accepted. BUT you will have a much more enjoyable experience if you do speak French at a semi- conversational level. Sure, you can get around with just the basics so you can buy bread from the bakery or ask directions, but if you want to have a social life, French helps a lot. There will probably be another native english speaker there while you are (Matt and Jessica will be sticking around for another few years and there seem to be more Americans and Canadians going these days) and many residents from France or other countries speak english as well. But not all of them. You will have a MUCH easier time and feel way less isolated if you put in the time to learn some french (or improve your high school french) before you go. But you can get by without years of preparation. There are classes in town which you can take. And of course, there’s no better way to learn a language than be immersed in it. Just be prepared to feel a little lost.Even if you think you speak French kind of OK you will probably still feel a little lost…sometimes very lost. Especially in group situations where everyone is talking at once. But I think feeling that way is a good thing to experience at least once in your life maybe? Its character building? Also you may not care about building a social life and be content with just focusing on your work. You don’t need french for that! – A letter which describes their reason for wanting to attend the residency and a specification as to how much time they would require to work on their project. – A precise description of the project they wish to work on. If it’s a comic, they should include three finished pages of the work in question. For an animation, the application should include a synopsis, one or two scripted sequences, and visuals which present the look of the film and characters. – A filled out “fiche auteur” form (document downloadable from website).A committee gets together several times per year to review applications. The application deadlines are February 10th, June 10th, and October 10th. I can only give advice to Americans here because thats what I know. And its probably not even very good advice. Let me repeat that: I MAY BE GIVING YOU INCORRECT ADVICE. PLEASE DO YOUR OWN RESEARCH ON THIS! If you are coming for three months or less as an American citizen, you do not need a visa. You automatically have a 90 day tourist visa when you enter any of the 22 European countries which are part of the schengen zone (France being one of them). But if you want to stay longer, you will need a visa (unless you want to just try your luck and stay illegally, but I can’t recommend that in good conscience). The visa process was very confusing! I did a lot of googling before I decided that I probably need a Long Stay Visitors Visa. This visa does not give you the right to work for a French employer, but you can exist in France with it. You will need to make an appointment at your nearest consulate and prepare the required documents. Make sure you make the appointment as far in advance as you can, because sometimes there wont be an open appointment for months. When its time, you’ll take all your paperwork and your passport to the consulate and have a short interview, they’ll take your passport, and then mail it to you when you have your visa (they need to mail it first to the embassy in DC). Different French consulates in the US have different information on what you will need for this visa. Its annoying. When I had my appointment at the French consulate in Boston, they even asked me for something that wasn’t on the website: proof that I had never been convicted of a crime. I wriggled out of that one eventually (I didn’t even know where one would obtain such a document). You can’t just call the French consulate and talk to a human person on the phone about what you will need (to be fair, I’m sure this service is not available for most countries’ consulates) so if you have questions about the requirements, just fish around on the internet as much as possible. You’ll also need to prove that you have medical coverage. Your healthcare plan probably wont cover you in France, and thats OK (you can pay out of pocket if you need to go to the doctor and it isnt too bad), but you do need to have “repatriation of remains” covered. They are worried that if you die in France, they will have to pay to ship you back home. I bought travelers insurance through World Nomads because they had this covered (plus World Nomads covered the $500 repair to my computer when I spilled water on it, so it paid for itself). The MdA will provide you with a letter that states that they will be covering your living arrangements. You’ll need that for your visa application. The other stuff on the list is pretty self-explanatory. ID photos, a self addressed stamped envelope, proof of residence, etc. You will also need an OFII form. Part of that will be filled out by the consulate/embassy in the US and then they will give it back to you. When you get to France, you are supposed to go to the OFII office in town to complete this. They will make a medical appointment for you in Poitiers, which is about 45 minutes away by train. 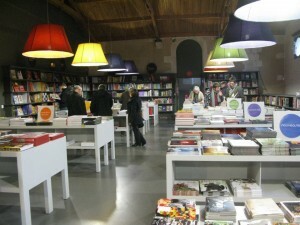 It will cost about 70 euros. Then you will have to pay a 300 euro “tax.” I don’t know what this is all about and I don’t know what the medical exam is like because I never did any of this. Somehow in the excitement of moving to Angoulême, making new friends, and attending my first FIBD festival, I completely forgot that I was supposed to go to the town prefecture and get this paper signed off on. I didn’t even know that there was going to be a doctor’s appointment or a 300 euro tax. The result of me not doing this: nothing. Until I wanted to renew my visa (I initially asked for an 8 month visa and then wanted a few more months). Turns out it was a very bad thing that I never got my OFII paper completed! I would not be able to renew my visa unless I went to that doctor, paid that tax, and then came back again once all that was done. I was about to leave the country for a festival in Colombia, so I didnt have time to do all this. So I gave up on renewing the visa and just hid in Latin America for three months so that I could come back in with a new tourist visa. None of this is what I advise you to do. Be a responsible traveler and respect the country you want to spend time in, don’t be a jerk like me and forget to get your OFII thing stamped. PS: if you want to get updates from me about new work, new posts and more, click HERE to sign up for my newsletter! Wow, this is REALLY useful for I am seriously thinking of doing a residency in order to finish a very large graphic novel that will take close to 3 more years to complete. I need to get away from the day to day of home life and focus. A place that is cheap by comparison to the hideously expensive Melbourne would be very useful. Despite my name, I know only know a little travellers French, but I will prep a bit. I guess I’m looking at 2015 before I can do it as there are too many obligations to fulfil first. 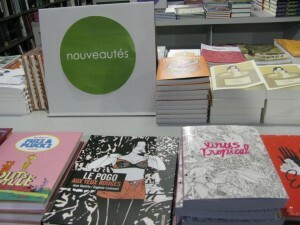 I look forward to life in Angouleme as a taste of what may come. Thank you so much for this FAQ. I don’t know if you intended this, but it’s become something of a go to resource for anyone thinking about applying for the residency (and I am). This sounds like an amazing, once in a lifetime, type of opportunity. Thanks so much for sharing all the information and advice. I’m really glad its of use to you, Jason! You should definitely apply and go! do you know if it’s possible for a normal person to visit /stay a few weeks there with a resident artist (couple, friend)? or is it just for artists and only artists are allowed to be there? I’m not sure…I’m pretty sure that’s fine, but the friend/partner probably wouldn’t be able to spend much time in the studio building. But I think an artists apartment is theirs to allow guests in. thank you very much for your quick answer!! you’re very kind. and by the way I found this article really really helpful and it really has everything we needed to know. i’ll ask the people at the maison des auteurs if that would be possible. thanks again. xoxo. Hi! How long after you applied did you receive any news about if they were reviewing your project and if you’d been accepted? I just checked my archived emails, and it looks like I sent my package to them around the end of January (at that time, in 2011, they wanted a physical packet whereas I think now it’s all digital) and then I followed up to see if they got it a few weeks later (which they said they did). I got the final response at the end of March, so in all it was about two months. I thought it was kind of weird that they didn’t answer the e-mail to confirm they got it… but that’s normal, I guess?